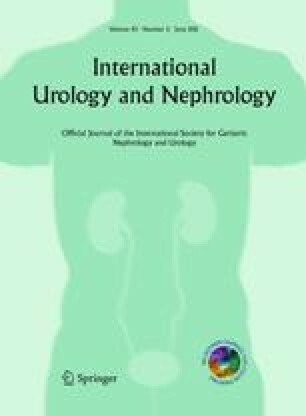 The inflammation was categorized more profoundly, using the standardized histopathological classification system for chronic prostatitis of NIH, to determine the influence of prostatic inflammation on serum PSA levels. The study included 120 patients who underwent transperineal ultrasound-guided prostate biopsy. The patients were divided into groups using 3 grades for the extent, the location and the aggressiveness of prostate inflammation. The serum tPSA levels, fPSA levels, %fPSA, and PSAD in each group were compared. Of 120 patients, 80 with benign prostatic tissue in their biopsy specimens met the inclusion criteria, excluding 40 cases with prostate cancer. The inflammation was present in 46(57.5%) of 80 cases. The extent of inflammation correlated positively with the total PSA level (r = 0.6, P < 0.001), fPSA (r = 0.5, P = 0.001) and PSAD (r = 0.6, P < 0.001). The grade of inflammation correlated positively with the total PSA level (r = 0.5, P < 0.001), fPSA (r = 0.4, P = 0.008) and PSAD (r = 0.7, P < 0.001). A negative correlation was found between the grade of inflammation and %fPSA (r = −0.4, P = 0.013). If the elevation of serum PSA is thought to be caused by asymptomatic prostatitis with high aggressiveness score in BPH patients without clinical prostatitis, it might prevent unnecessary repeated biopsies.